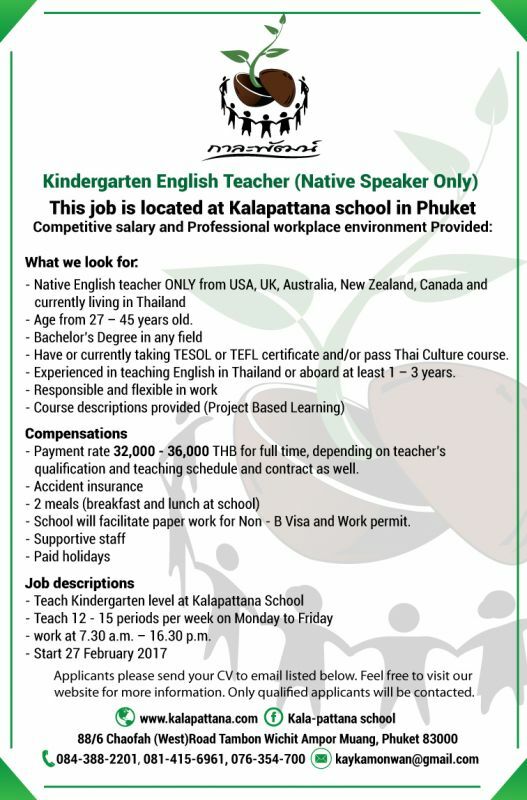 Native English Qualified teacher needed for child 5yo with autism. Speech, ABA, occupational therapists will have priority. 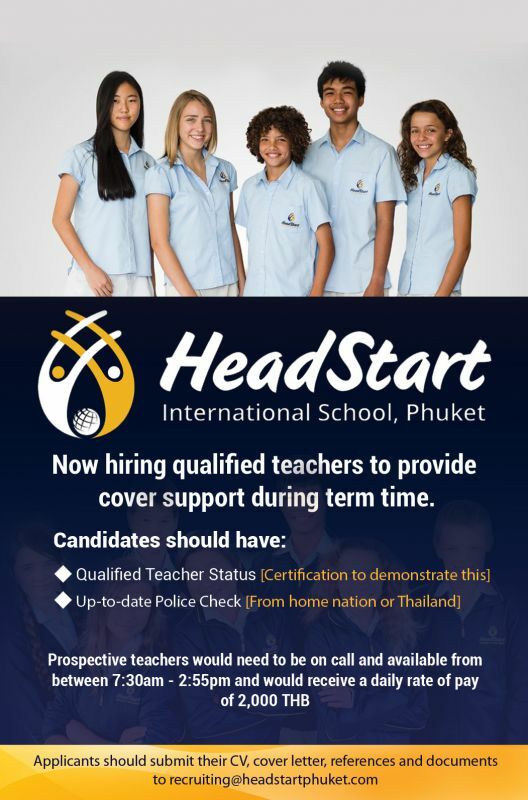 High salary, flexible working hours. European nations only. Physics tutor needed for high school student. 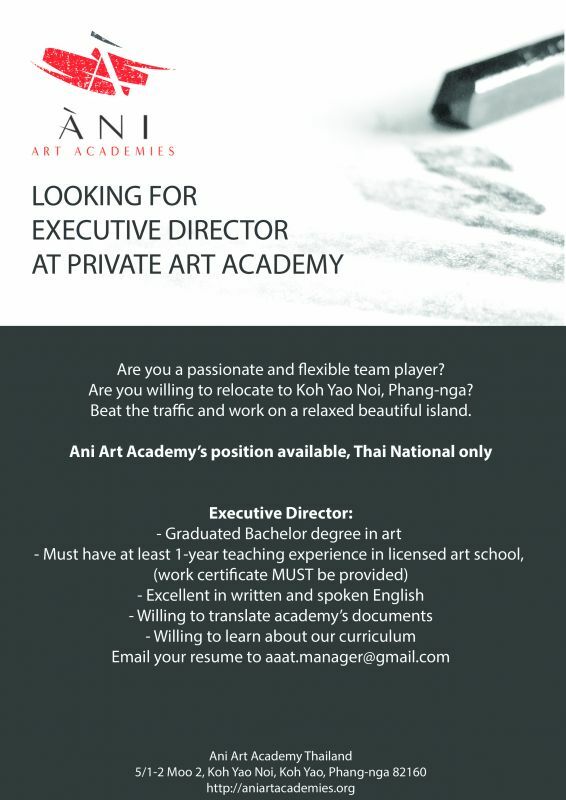 Good pay, Airport area, weekends, contact Mr. Wu for details. 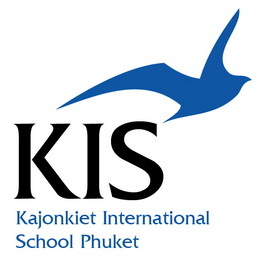 KIS is looking for a coach for our football team. Can be part time or fulltime. Salary vary with experience and education. 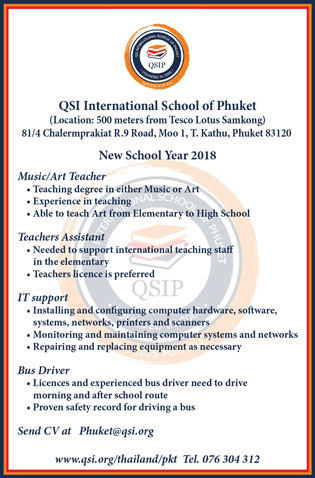 Chalong Phuket International school is looking for 2 teachers to start August 17. Mon-Fri up to 15 children ages 2-7. Work permit available. 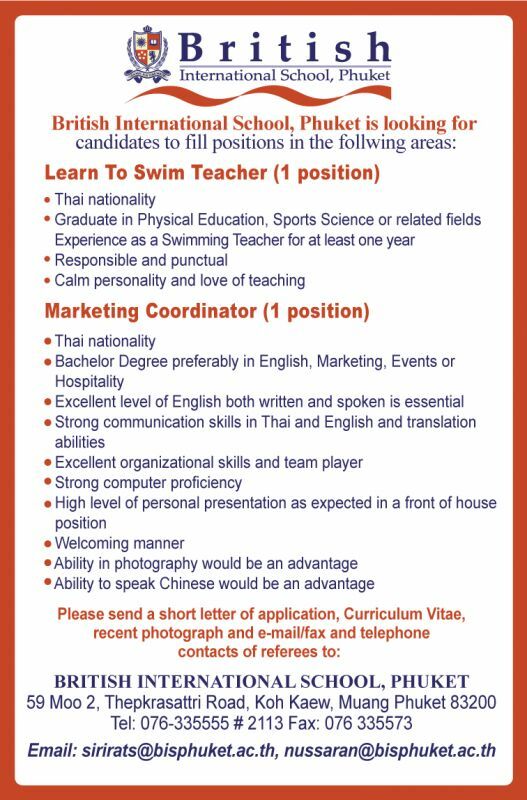 Send resume and Thai Phone no. Mandatory interview in Chalong. 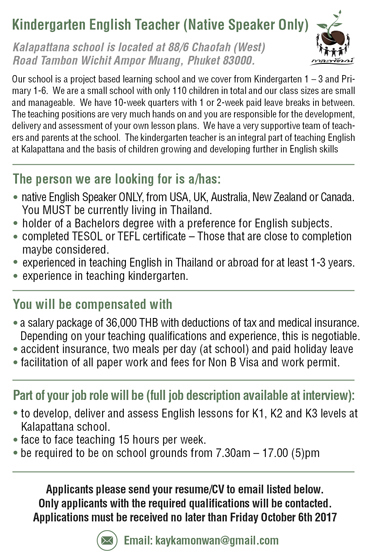 Tutor / Teacher wanted for 5yo Australian/Thai child to teach K3 Math, Reading, as well as Thai language. 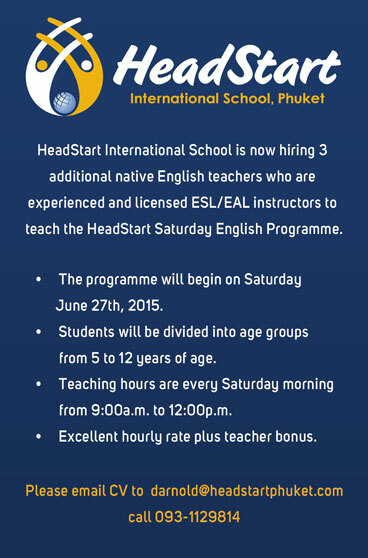 Mon to Sat 4 hrs a day, location Thalang or Pa Klok. Contact Shayne. 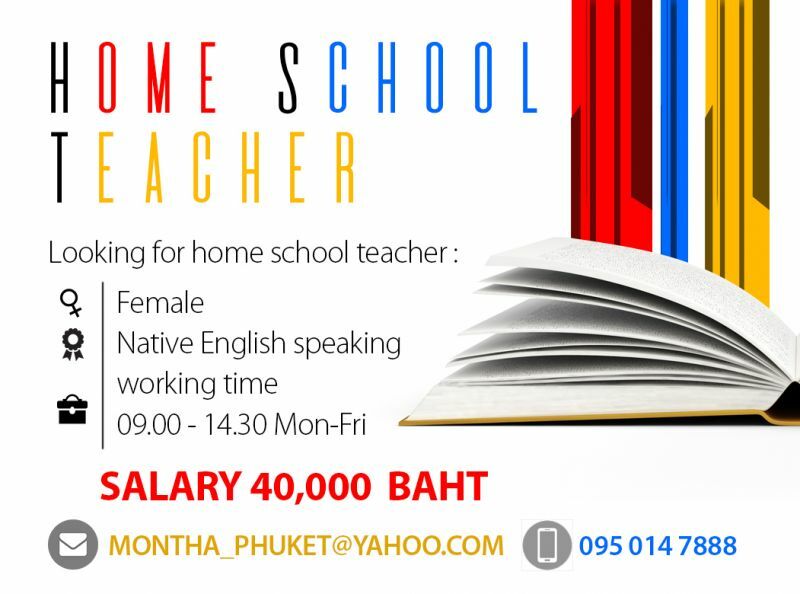 Looking for an English speaking Thai tutor for home lessons. Please submit your fee requirements, a photo and your phone number by e-mail and I will contact you. 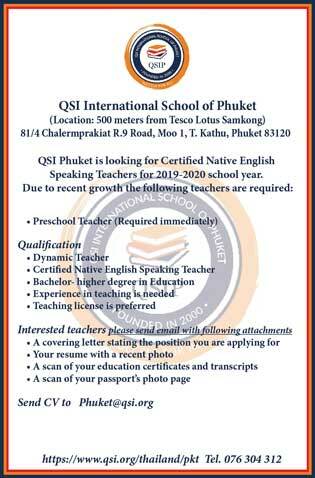 I am looking for an experienced Thai language tutor. I'm a beginner. One-on-one lessons at my house in Kamala, 2-3 days a week. Native Thai female preferred. Please send email with photo. For 6 year old boy following American curriculum. Experience and own transportation are required. Mornings, 20 hours per week.